The United Nations’ (UN) annual Puerto Rico decolonization hearings are not regularly broadcasted live. The UN records them and, at its discretion, publishes them usually on the following day in its WEBCAST. But why are they not broadcasted live on radio and television for the whole world to witness? Are they not news worthy? These hearings are not broadcasted, because the United States Government (USG) does not want them to. The UN’s hearing this year on Puerto Rico decolonization will be on Monday, June 24, 2019. You will not be informed of that in the United States “free press”, even though more than half of Puerto Ricans now live away from their national territory! What is even more astonishing is the fact that the UN itself does not regularly broadcast these hearings live! Why doesn’t the UN want the world to know that the USG is in violation to its own Charter that prohibits colonialism since 1945? Why doesn’t the UN want the world to know that the USG has ignored 37 UN resolutions asking it to immediately return Puerto Rico’s sovereignty to the Puerto Ricans? 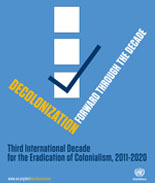 Doesn’t the UN want to eradicate world colonialism in its 3rd decade dedicated to do so? I wrote to the then chairperson of the UN Decolonization Committee, Ambassador Xavier Lasso Mendoza of Ecuador on June 8, 2015 about getting the UN to broadcast the Puerto Rico decolonization hearing on Monday, June 22, 2015. The People of Puerto Rico request that you make it possible for the Monday, June 22, 2015 Puerto Rico Decolonization Hearing to be broadcast live in radio and television, so that the whole world has the opportunity to witness it first-hand without any outside filtration. We understand that we have the inalienable right, under international law, to our self-determination and independence. The United Nations (UN) could help us tremendously by providing every year the opportunity for the world to hear and see what occurs in these hearings. That will, in turn, help us begin the process of building a national consensus that will eventually lead to our decolonization. InformacionAlDesudo.com informed me that we need the code of the UN’s signal for this broadcast. If this is what you determine is needed to make these broadcasts possible, then we respectfully request that code. Thank you very much for any help that you can provide in this very important matter to the People of Puerto Rico. Please inform me of anything we must do in order to get this hearing on the air. 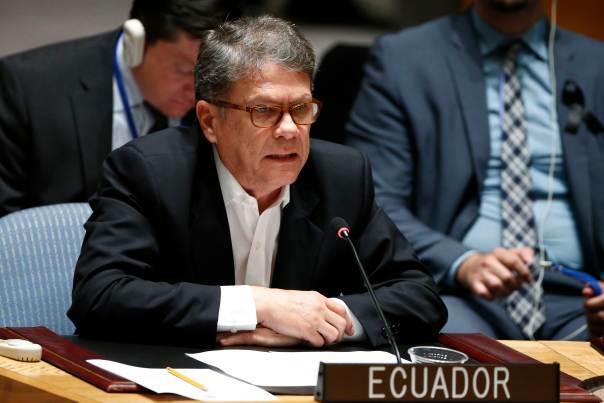 The Chairperson said with indignation in the morning session of that hearing that the UN had promised him that the hearing would be broadcasted live, but then was told that it would not. Several petitioners in the morning session, including myself, thanked the Chair for having attempted to have the hearing broadcasted. The fear of the 1% is the education of the 99%. If we believe in democracy, we need to inform ourselves independently of the brainwashing attempts of the 1% controlled media. 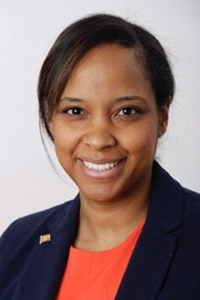 This year’s chairperson of the Decolonization Committee is Ambassador Keisha Aniya McGuire of Grenada. We hope she will push for the live broadcast! Regardless, we will continue to push for these live broadcasts. We will have our annual march from Hunter College to the UN on Monday, June 17, 2019, to inform the public about the following Monday’s hearing at the UN for Puerto Rico decolonization. We want our democracy back!